Google has a new experiment going on with the aim of increasing advertisers exposure for Black Friday and Cyber Monday ads. The experiment has launched on Google ads using the promotion extensions. 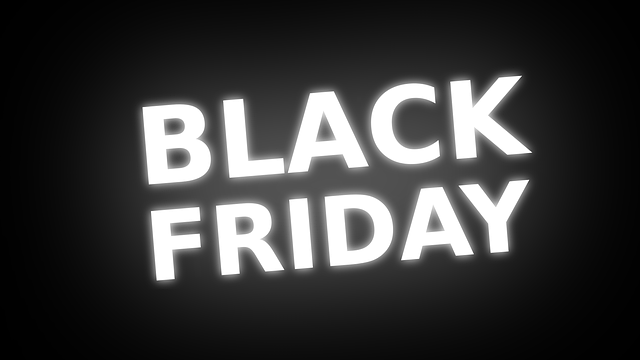 From now up until November 27, users of Google may notice Black Friday ad formats when they type in keywords and phrases such as “Black Friday deals” or the “product name/brand name black Friday” and variants of those phrases. Ads that show up will be powered by the promotion extensions. The ad unit will be shown right at the top of the search engine result pages and there will be links leading off to each of the retailers included in the ad unit. You can try out this experiment for your businesses but there are no guarantees that the promotions you create will end up in the ad unit. However, there’s no chance at all if you don’t give it a go. Try out the Google experiment for yourself by following these easy steps or give us a call and we’ll assist you. In the Google Ads Interface, add promotion extensions beneath the Black Friday or the Cyber Monday labels. M the ad groups to target the Black Friday/Cyber Monday keywords and come up with ad copy that is relevant to your deals. You must have Black Friday in your keywords! According to Google, 100% of the searches for Black Friday took place between November 19 and 25 in 2017. It is hoped that your business will attract the attention of new customers when they’re shopping around for the best deals online. Time is of the essence. Don’t hang around on this, get your ads created and live as the competition will be fierce. Remember that there are no guarantees, but if you’re creating ads you may as well come up with ones that could end up on the top of Google. Want help creating ads on Google? Ask us about our flexible and affordable PPC services in Worcester.